Come on, how cute is this? 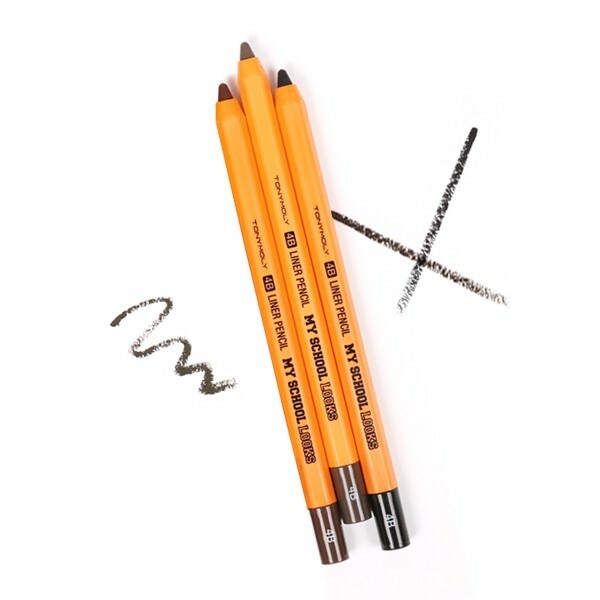 Despite the cutesy theme, Tony Moly My School Looks 4B Liner Pencils are good eye liners. They come in 3 shades: Grey Brown and Black, and they are creamy, smooth and very pigmented. See more of our favorite Tonymoly beauty products here! They are water resistant and they lasted about 6 hours on me before any fading. I didn't get smudging during the day. I used the black, which is a soft, not intense black shade. P.S. They also come in a brow pencil version.